If I remember correctly, in Attack on Titan, it's mentioned or implied a number of times that humans built the walls to protect themselves from the titans. (Feel free to correct me if I'm wrong on this.) If so then, how did they manage to get the walls erected (which seem to be the result of somewhat extensive work) without getting killed, if they were already under attack by that point? The First King used his Coordinate power (control over titans) to force those titans to use their hardening power to shape up the walls, then used his Memory power to wipe the memories from the pre-wall era from humanity. he also created the Wallist Church to help him oversee the walls safety. As a result, the walls are very tough to break and have sheltered human kinds for decades. "the walls were built with the exoskeletons of titans"
The Wall Titans (幻の巨人 Maboroshi no Kyojin?, Phantom Titans) are unusual kind of Titans that make up the Walls that protect humanity. 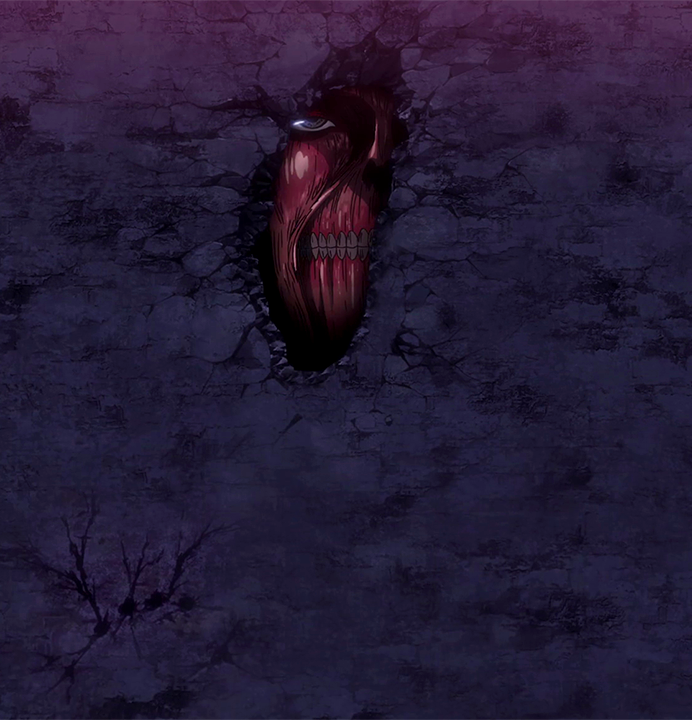 They are first revealed when the Female Titan tried to climb Wall Sina to escape from Eren and the Survey Corps. The lack of sunlight inside the Walls renders them immobile. It is implied that the Wall Titans have the ability of using their crystallizing powers to create massive walls, notably Wall Maria, Rose and Sina. Their exact motives for doing this are unknown. This seems to imply something completely different to what I was thinking. Of course you can't trust everything you read, but I like to think this information is pretty accurate. It is also stated here that a group of religious fanatics and the king know about the wall being made of titans. The walls weren't exactly built by humans. The walls are all made from 50 meter colossal titans. They are unable to move because it is dark inside the walls and they become immobile in the dark. This is shown in the final episode of the anime after the credits. Rod Reiss' ancestors, the first king, used his powers to create the walls (and Titans?) And wiped all memory of the word before the walls from the mind of humanity.